A high-flying cat has been found badly burned but alive more than a week after witnesses saw her leap from a flaming apartment complex. Blueberry was discovered behind the Craigflower Road apartment complex where her owner was tragically killed. 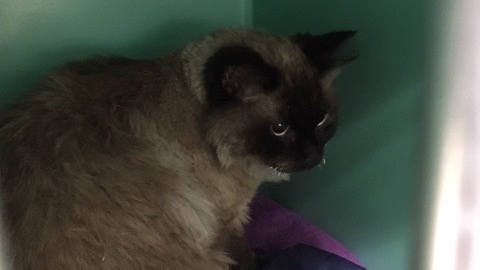 Staff with the animal recovery agency Find Lost and Escaped Cats (FLEC) say Blueberry was discovered Monday night beneath a thorn bush. Still rattled by her ordeal, volunteers slowly gained Blueberry’s trust by feeding her. Eventually she emerged from the bush and staff discovered her paws were badly burned, much of her fur was singed and she was dehydrated. 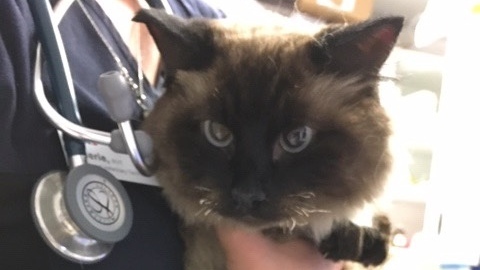 The ragdoll Siamese cross was taken to Central Veterinary Hospital and is said to be doing well. 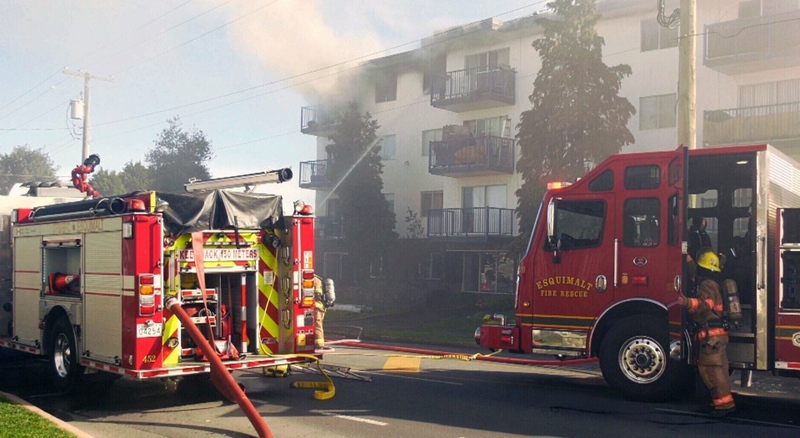 On April 7, fire fighters saved five people from a burning apartment building on Craigflower Road in Esquimalt. Judith Burke, who lived in a top-floor unit, sadly was unable to jump from her balcony and died. Neighbours told the animal recovery group that BlueBerry was Burke's pet. 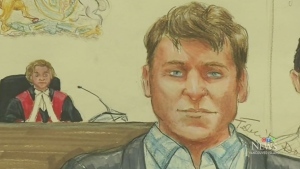 The medium-long haired cat with brown and white fur and bright blue eyes was seen leaping for safety as flames and smoke billowed from Burke's apartment. 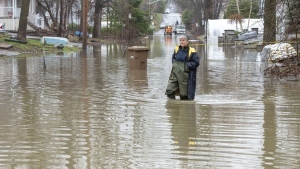 Landing in a hectic scene below, witnesses said the cat ran away. The fatal fire is being blamed on human error. That is part of the preliminary findings of Esquimalt fire investigators, which indicate the apartment fire on Craigflower Road was sparked accidentally. Escaping flames and losing her owner, Blueberry is now in the care of veterinarians and the volunteer organization which worked so hard to find her. 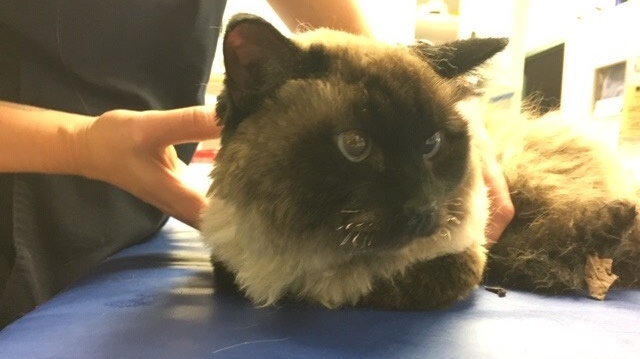 Organizers with F.L.E.C say while the cat is suffering from burns and still showing signs of trauma, she was quick to snuggle up to a volunteer as they rushed her to the Veterinary Hospital Monday night. For more information on the work FLEC does, go to their Facebook page.